Africa’s best national parks & game reserves – Check them out here! Africa abounds with beautiful national parks and game reserves. Each country offers unique and diverse experiences. An incredible combination of spectacular wildlife, fascinating nature and experiences most people only get to enjoy once in a lifetime. Read below and find out which national parks and game reserves are among Africa’s best. Serengeti National Park has one of the world’s oldest ecosystems. When you enter the national park, you are greeted by a beautiful view. The endless plains are impressive and the dense vegetation on the hills is picturesque. The national park is unique. Not only does it offer amazing nature, but abundant wildlife, too. Wildebeest, zebras, lions, elephants, leopards, buffaloes, hippos, rhinos and many, many more animals. In fact, if you are lucky, you might even experience the Big Five! 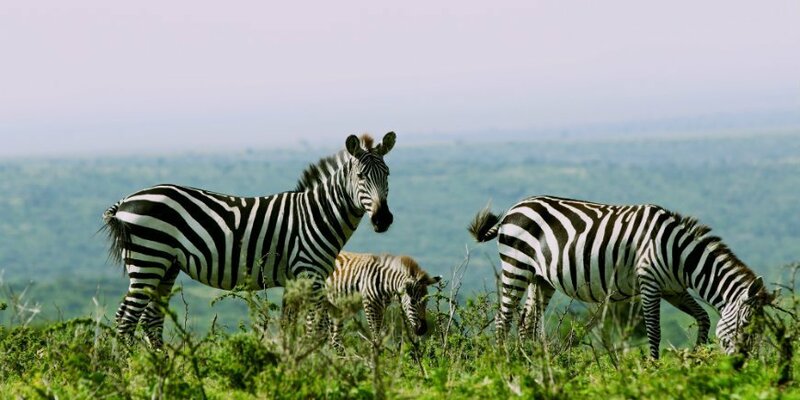 Serengeti National Park is an acquaintance you won’t forget in hurry. 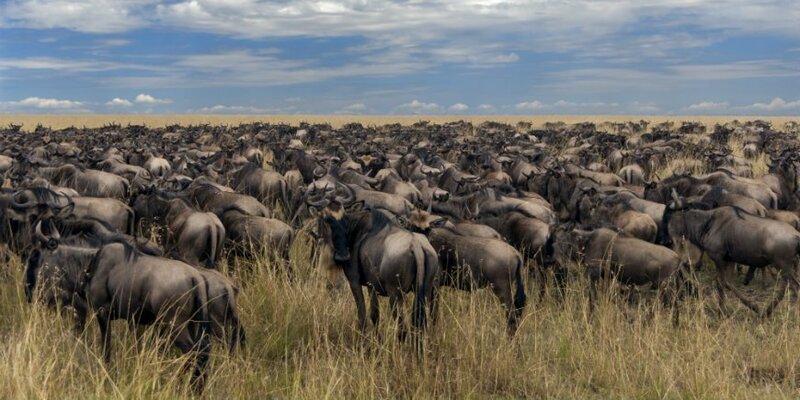 Did you know that: Serengeti National Park became a UNESCO World Heritage Site in 1981, due, among other things, to the Great Wildebeest Migration, when some 2 million animals make their way between Serengeti National Park and Masai Mara in Kenya every year. Large grasslands, lakes and rocks adorn the vast area of the national park. The park measures approximately 350 km from north to south and 65 km from east to west. Covering an area of more than 20,000 km2, the national park is South Africa’s largest – and actually the oldest. Kruger National Park is home to a wealth of animals. In fact, around 11,000 elephants and 35,000 buffaloes and zebras live in the park. There are also antelopes, lions, leopards and many others. The animals flock to the watering holes and lakes in the afternoon, and with a little luck you might see the elephants bathing. No matter what season you choose to visit the national park, wonderful wildlife and nature experiences await you. Did you know that: There are about 520 bird species, 146 different mammals, 120 reptiles and 2,000 different plant species in Kruger National Park? In south-west of Kenya, on the border with Tanzania, is the Masai Mara National Reserve. Grasslands, acacia trees and mighty plains with large herds of animals are the essence of the reserve. Masai Mara is every bit as beautiful in real life as in the pictures. The animals that live here include elephants, zebras, giraffes, lions, hyenas and cheetahs. And if you’re lucky, you might spot all the animals of the Big Five. Masai Mara is the Kenyan part of the ecosystem of Serengeti National Park, and large herds of animals make their way here in search of food and water (the Great Migration). In addition to the outstanding nature, it is also possible to visit the Masai villages. Did you know that: Masai Mara National Park has the largest concentration of wildlife in the world during the rainy season? 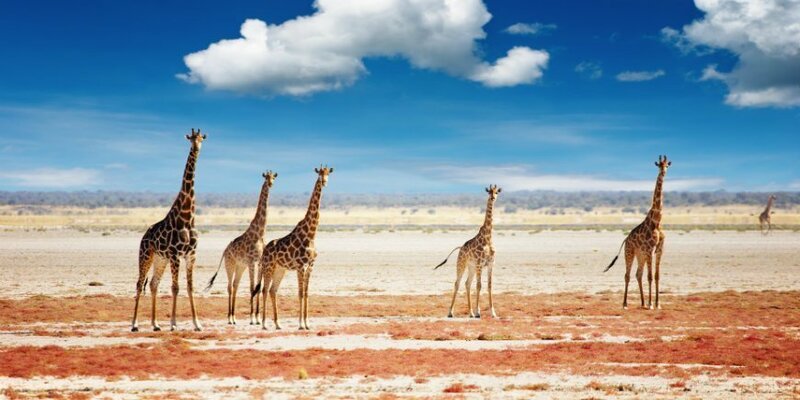 Etosha National Park, located in northern Namibia, is one of the world’s largest national parks. A long list of animals live in the park – mammals, birds and reptiles – and the national park is one of the best places to see wildlife in Africa. Among others, you are in with a chance of seeing giraffes, zebras, wildebeest and elephants, often gathered around the waterholes in the national park to drink. Another of the main attractions of the park is the 5,000 km2 salt plain, Etosha Pan, which consists of the remains of a dried lake. It’s an amazing sight. Did you know that: The great salt plain, Etosha Pan, can be seen from space? In the northern part of Tanzania, south-east of Serengeti, lies the Ngorongoro Conservation Area. 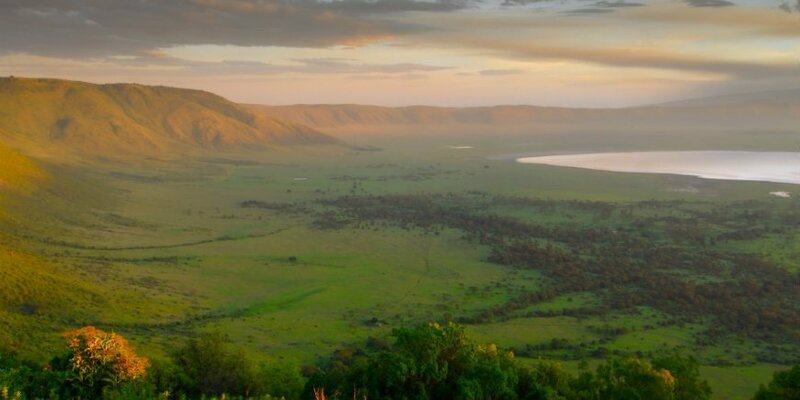 The highlight of the area is the Ngorongoro Crater, an extinct volcano that exploded 2–3 million years ago. The crater has a floor area of 260 km2. From the base of the crater, the edges extend to a height of 600 metres. A spectacular sight. Today, gazelles, lions, zebras and 350 bird species, inhabit what is the world’s largest inactive volcano crater. The Ngorongoro Conservation Area became a UNESCO World Heritage site for its nature in 1979, and again in 2010 for its cultural value. Did you know that: The Ngorongoro area is the place in Africa inhabited by the densest stock of big game? What a magnificent experience it is to have a view of the world’s highest free-standing mountain, Kilimanjaro, with snow on the top when you’re standing in a national park! But that’s what you get in one of Kenya’s smallest national parks, Amboseli National Park. 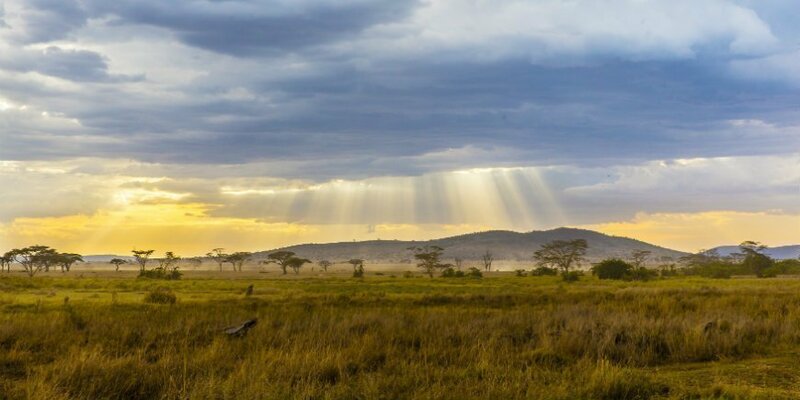 There is ample opportunity to enjoy a whole host of nature experiences in the national park, which offers wetlands, savannah, forest and Lake Amboseli, which often dries out. 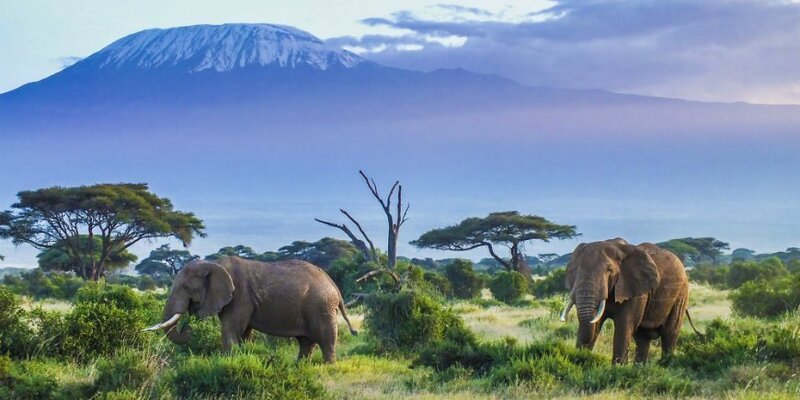 Amboseli National Park has sparser vegetation, making it easier to see the wildlife, which includes hippos, leopards, giraffes, lions, elephants and lots of birds. Did you know that: You can see some of the world’s largest elephant herds in Amboseli National Park? 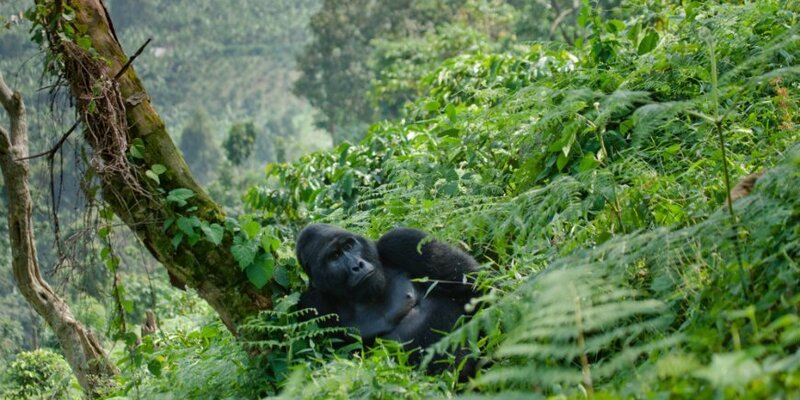 Bwindi Impenetrable National Park is home to around half of the threatened mountain gorillas left in the world. And around 340 mountain gorillas live in the national park. The gorillas are one of the reasons that the park was named a UNESCO World Heritage Site in 1994. Not only is it home to the mountain gorillas, but it is also the park housing the most mammals in Uganda. Some 120 different species live here. In addition to the mammals, more than 340 bird species inhabit Bwindi Impenetrable National Park. Did you know that: Bwindi Impenetrable National Park is one of the most biologically diverse places on earth? 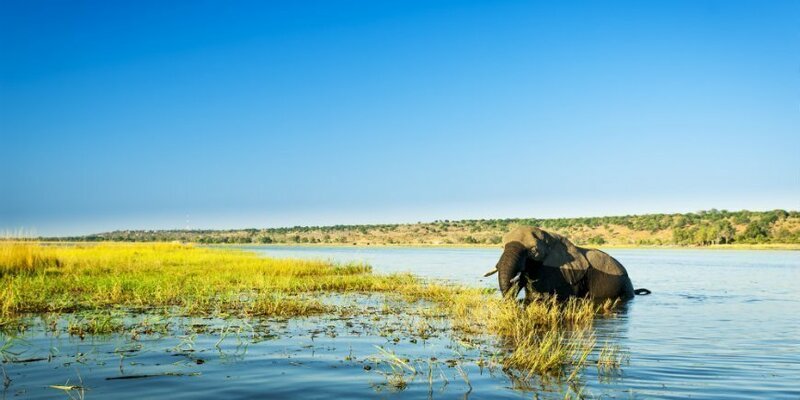 Chobe National Park is one of the best places to see elephants in Africa. There are around 120,000 elephants living in the park, with some herds of up to 100 elephants. The river running through the park – the Chobe River – is one of the reasons for its high biodiversity and well-functioning ecosystem. Down by the river, you will see elephants bathing to cool down, hippos enjoying a relaxing soak and crocodiles lying completely still in the water. You may also be lucky enough to see all five of Africa’s Big 5 in the park as well as other classic safari animals such as zebras, baboons and kudus. The ideal way to experience the park is to combine a regular safari with a cruise on the Chobe River, as you get to see the best of Botswana’s wildlife on land and in the water. Did you know that: the national park was used as a hunting area in the 19th century? The elephants in particular were hunted for their tusks, which were used to make piano keys, combs and billiard balls. The African national parks and wildlife reserves all offer unique experiences: Amazing wildlife experiences and fascinating nature unique to Africa. Want to enjoy the experience of your lifetime? Take a look at our tours to Africa and draw inspiration for your next holiday. 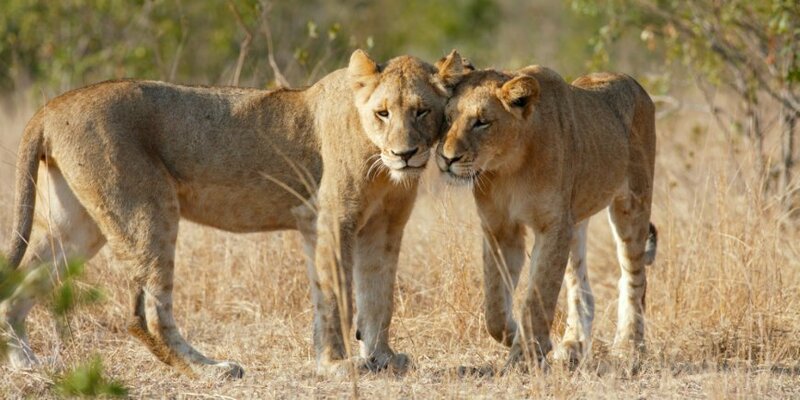 Africasafari.co.uk – Get even closer! We’re celebrating our 13th birthday! When is the best time to visit Zanzibar? Please find our exciting tours to Latin America and Asia. Africasafari.co.uk is a brand of Aclass UK Ltd.
We are ATOL protected by the Civil Aviation Authority for your complete peace of mind. Our trading name under ATOL is Aclass UK Ltd T/A Africa Safari & our ATOL number is 10558. ATOL is a financial protection scheme covering over 28 million UK consumers each year. Only ATOL tour operators can provide peace of mind and full financial protection.